The Audi Q7 returns for 2018 with only a few changes to the lineup. Premium Plus models will now come standard with a BOSE surround sound stereo, while prestige models get automatically closing doors as standard. While a smart key was optional on 2017 Audi Q7 models, Audi have gone ahead and made the feature standard across the entire lineup for 2018. 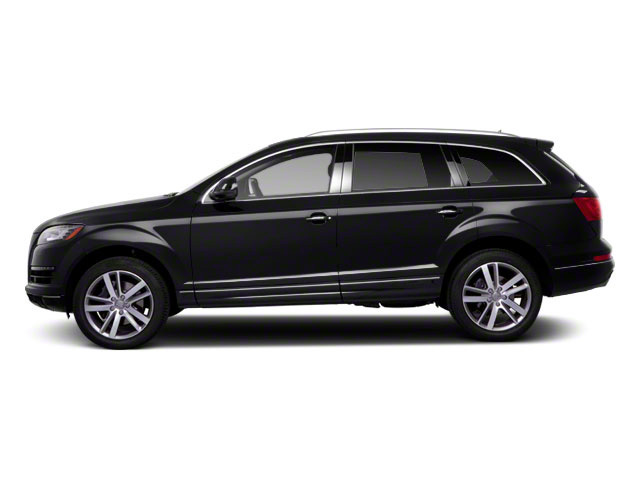 The Q7 is offered in Premium, Premium Plus and Prestige trims. Premium and Premium Plus are powered by a standard 2.0L turbocharged 4-cylinder that makes 252 horsepower and 273 pound-feet of torque -- enough to take the 2-ton SUV from 0 to 60 mph in 7.1 seconds while returning an EPA-estimated 20 mpg in the city and 25 mpg on the highway. With quattro all-wheel drive, power is put to all four wheels through a 7-speed S tronic dual-clutch automatic transmission. Optional on those trims and standard on the Prestige is supercharged 3.0L V6 that delivers 333 horsepower and 325 pound-feet of torque. The engine will propel the 4,938-pound Q7 to 60 mph in just 5.7 seconds, with an EPA-estimated 19 mpg in the city and 25 mpg on the highway. An 8-speed Tiptronic automatic transmission puts power to all four wheels courtesy of Audi's quattro system. With the second- and third-row seatbacks folded down, cargo capacity is 71.6 cubic-feet; even with the second-row seats in place, capacity is still a generous 37.5 cubic feet. Steering is courtesy an electromechanical power steering unit, while suspension front and rear is via a 5-link independent setup. Stopping power comes through ventilated disc brakes -- 14.8 inches up front and 13.8 in the rear. 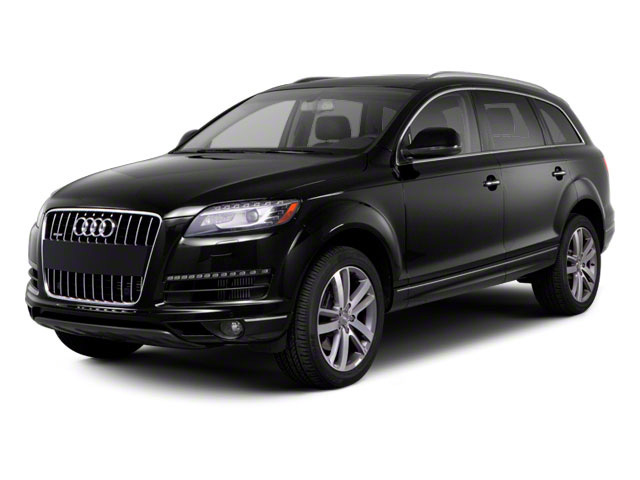 Q7 Premium trims are well-equipped and come with Audi's signature Singleframe grille, 18-inch alloy wheels, dual exhaust, automatic Xenon headlights with LED daytime running lights, LED taillights, and heated power-adjustable and power-folding side mirrors with integrated LED turn signals. Leather seating graces the interior, with heated 8-way power front seats, 50/50 power split folding third-row seats and 35/30/35 split tumble-folding second-row seats. Three-zone automatic climate control, one-touch up/down power windows, a manual tilt/telescopic multifunction steering wheel with paddle shifters, ambient LED lighting and an auto-dimming rearview mirror are all standard. Also included are Bluetooth hands-free connectivity and streaming audio, a 7-inch color driver display and 7-inch TFT color center display for the MMI infotainment system, a 10-speaker audio system with HD radio and SiriusXM satellite radio, cruise control, Homelink Universal garage door opener and auto start/stop engine technology. Advanced safety features include automatic windshield wipers and headlights, the Audi pre sense suite of accident avoidance systems that detects vehicles and pedestrians and begins emergency procedures, parking system plus with a rear camera and Audi drive select, which allows drivers to adjust the Q7's driving characteristics based upon conditions. The Premium Plus trim adds keyless entry with a hands-free open/close tailgate, LED interior lighting, the Audi MMI Navigation Plus package, electric tilt/telescopic steering column, and Audi 'side assist' with 'pre sense' rear, which aids in lane changes and also mitigates the consequences of a rear-end collision. In the Prestige, beyond the standard V6 engine, you get 20-inch 10-spoke alloys with run-flat tires, full LED headlights, and a 558-watt, 19-speaker Bose 3D sound system with 15-channel amplifier. Audi virtual cockpit with head-up display provides a 12.3-inch driver display that can show a panoramic 3D map, and a top-view camera system that provides a stitched-together real-time picture of what's around the Q7 during parking maneuvers. 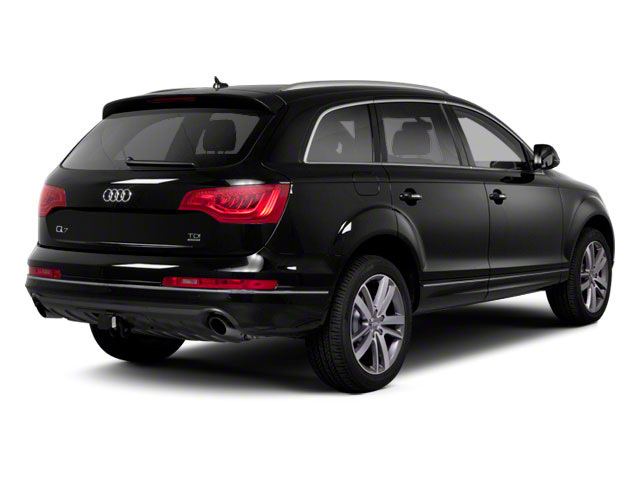 Several packages are available across the Q7 model range. On Premium trims, the MMI Navigation Package Plus adds touchscreen navigation, Apple CarPlay and Android Auto smartphone interface, and the Audi connect suite of information, entertainment and remote services. Available on Premium Plus is a Driver Assistance Package with adaptive cruise control, active lane assist, traffic sign recognition and more. A Vision Package adds virtual cockpit, LED headlights, and the top view camera system. Finally, the Prestige's Luxury Package comes with an Alcantara headliner, Valcona leather, massaging front seats, power soft-closing doors, while the Titanium-Black Optic Package brings 21-inch RS-design Titanium wheels, Titanium Black roof rails and black high-gloss styling accents.